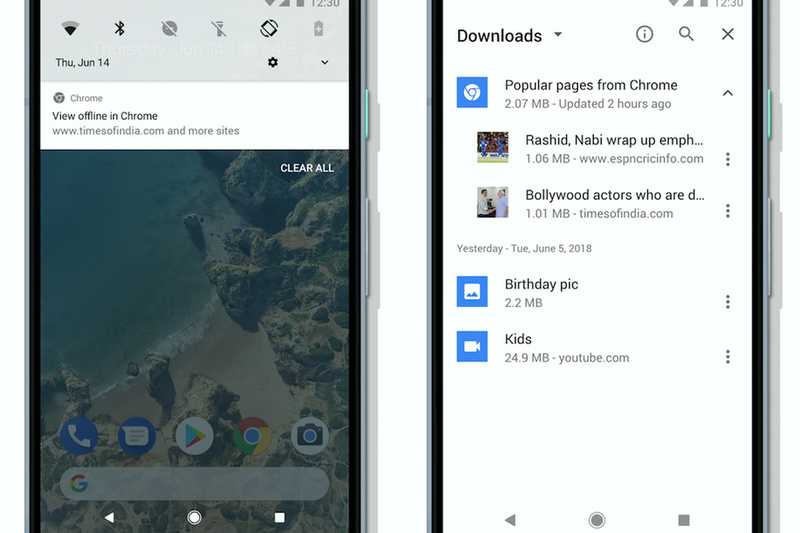 Google has updated its Chrome browser for Android user and it has introduced a new technology that will automatically download relevant news article when your android phone is connected to Wi-Fi. People have to purchase data packs through their SIM card just to read the articles and there are slow processing of data plans so they are not able to read properly. So Google has aimed at countries where mobile connectivity is slow or limited or there is no continuous internet coverage. Over 100 countries have this new update of Google Chrome browser which is a part of Google’s Next Billion User (NBU) initiative which is including India also for this new Chrome update. This feature is now limited to the articles only. Google Chrome Update works very wisely as Google said that when a user is connected to free, unmetered Wi-Fi then Chrome will download the articles which are relevant based on the content popular in user’s area. If the user has signed in with their Google account the app will take their past browsing history and download the relevant content for offline use and the user can access it from the downloads anytime, without an internet connection. Project Manager, Amanda Boss, wrote in a blog”Today, we’re introducing another way for Chrome on Android users in India, along with more than 100 countries including Nigeria, Indonesia, and Brazil, to surf the web with Chrome on Android devices – even without a constant internet connection. When you’re connected to free, un-metered WiFi, Chrome will automatically download relevant articles, based on what content is most popular in your location”. He added more in that post that, “Chrome’s goal is to make the web work well for everyone, everywhere. From building offline capabilities to an automatic data saver, we’ve launched a number of features to improve web accessibility especially tailored to NBU markets. However, it can be frustrating and hard to access the web when you lose connectivity or spend days disconnected. Spotty connectivity shouldn’t stop us from accessing our favorite sites to get information, whether it’s recent news or the latest cricket results”. to get the benefits of new feature as soon as possible.